When you call out a plumber you should expect them to do a great job every time. But don’t stop there: you should also demand that they turn up when they say they will, that they are fully qualified, that they don’t charge too much and that they provide a courteous and professional service. And that’s exactly what we provide to all of our customers in Amersham. Want to find out whether we live up to our high standards? Then there’s only one way to go about it: call us today and let us sort out all your plumbing, heating, boiler and drainage problems. 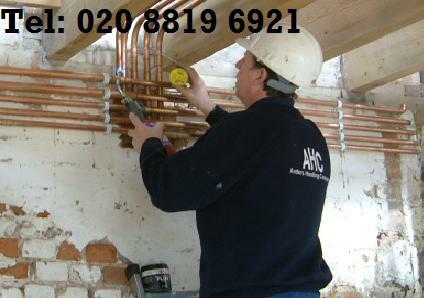 We provide a wide range of services not just in plumbing but in other areas including heating, boilers and drainage. Installation of all plumbing fixtures and fittings, plumbing repairs and maintenance, toilets, showers, sinks, burst pipes. Large and small, no drainage job is ever too big for us. Installations, maintenance and repair, landlord safety certificates (including all makes and models of boilers, such as condensing system, combination, floor standing, back boilers and more). Any central heating related issue, broken radiators, installation of central heating system..